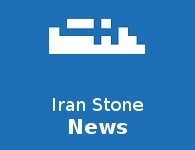 iran stone Co., since 1987, has been one of the leading companies in production and export of Iranian stones. we own a marble factory & quarry. In our factory, we produce Marble, Travertine and Onyx, in forms of slabs, cut to size and Tiles. We process various finishing such as polished, Honed brushed & sand blasted. Our production is exported to over 40 Countries all over the world. Being close and having daily access and inspection opportunity to over 50 fantastic Marble & Travertine quarries, our rates are significantly competitive to any foreign producer of Iranian Stones, in Italy or else where. Using the most sophisticated Italian marble production lines, plus daily selection of the superior Iranian stone blocks, leads our quality to hit a higher standard than any other factory producing Iranian stones, in terms of color and processing quality. Iranian stones are quite well known in the international market by other names, now it is time that customers purchase a higher quality of Iranian Stones at a cheaper rate, directly from Iran. In this respect iran stone is a frontier in creating this opportunity. Our quarry, Crema Persia, located at Dehbid area, we believe is one of the most beautiful Beige Marble in the world, superior than other famous "Crema" brands. We also trade blocks (only from our own quarry, Crema Persia). Costumers are invited to select blocks from the factories block yard. Blocks which have been selected to be processed for our own orders. 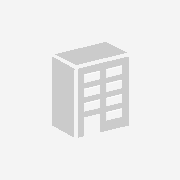 Our products are from various manufacturers and we can assure that these are quality products. We are sure that you will be amazed with our products because you will find some products that you like but you never had the chance of having since they are not available every where. Also, we are proud because we have very low prices for our goods. We would like to assure you that you will be able to save when you buy from us and the products are just of high quality. We are very proud to offer to you types of Iranian Granite, Marble, Travertine, Onyx, Limestone, guillotine, Block into slabs, tiles, coping in various colors and sizes according to customer orders that has an impressive quality at a very reasonable price. We can assure you that we never compromise on our quality standards and are one of the best in the stone market at present. Our products has its grasp on oversees stone market also and has a very good repute. Our products are available at very competitive prices and are attracting a great positive feedback from the customers. And many of our clients are fully satisfied with it. We assure you that you will be satisfied with its results and humbly request you to try our product. We are hoping for a better business deal with you We send our e-Brochure for you to have more detail about our product. ISCO is an Iranian company established in 1981 with aim to produce, process and distribution of all kinds of natural stones in Iran. ISCO is established under authority of Pourhassani Quarries & Factories Group with more than 50 years of experience in natural stone industry. This company began its activity from working on one crystal marble quarry and now owns 7 natural stone quarries and 3 well equipped factories. CEO & Founder ISCO is founded by Mr. Hossein Pourhassani with more than 50 years of experience in mining and processing of natural stones in Iran. The activity has began with extracting from one crystal marble quarry and now the company owns multiple quarries and factories. It is a big honor for us to be one of the biggest suppliers in Iran. Porfiman entered the natural stone market in 2000, We have gathered a complete selection of the finest Iranian Marble, Travertine, Onyx and Limestone blocks for export from nearly 30 different quarries. Our selected team of professional inspectors has enabled us to provide a not only reliable but also a professional service to our clients and customers. Porfiman sales executives are always pleased to serve you and our on-site quarry teams would enjoy giving you a special guided tour at your demand. Constant quality control, rapid personalized response and optimum delivery worldwide have helped us earn our international reputation for reliability around the world Porfiman is operating own quarries with the latest production technology with over 20 years’ experience in the natural stone business, Porfiman Co provides its customers with a full guaranty of quality, transparency, delivery time and customer care. Since 1967, Hadd Sanat is one of main producer of stone cutting machines in Iran.